This could also be called Cherry Brownie Bites… you decide. 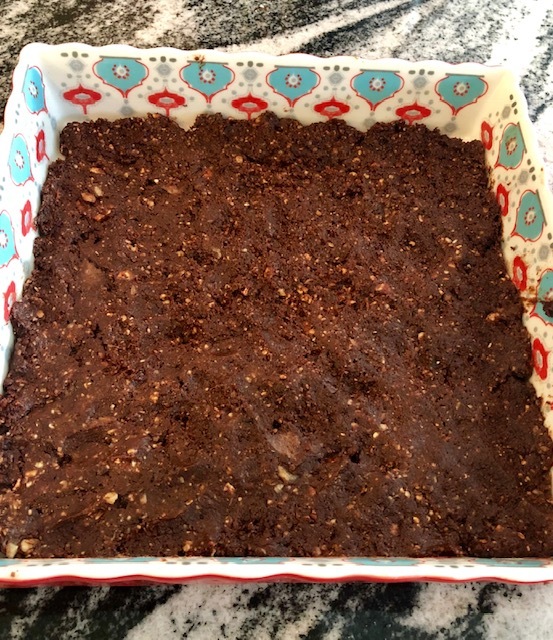 I used to make these all the time for Paleo personal chef clients back in the day. I’ve updated them for 2019 with the addition of collagen for some added protein. There’s just something about homemade, especially with energy bars. They taste FRESH and delicious. These are basically Laura Bars, but I’ve made them more delicious, in my opinion. If you don’t like chocolate or cherries, simply switch out the ingredients. The technique part you should take away from this recipe is the combination of dates and nuts. This makes a base for your bar and you can add in any sort of flavors you want. If your dates and cherries are super hard, soak in warm water for 30 minutes, then drain. Combine 1 cup date with 1 cup pecans on the food processor until almost smooth. Then pulse in the second cup of dates and pecans until combined, but still a little chunky. Pulse in the rest of the ingredients. You’ll need to scrape down the sides of the processor a few times as you go to get everything mixed together. Scape out onto your lined or greased baking dish. Using damp fingers, spread the mixture evenly. Place in the refrigerator to set. Cut into squares (or whatever shape you want). These are perfect snack post workout for a shot of carbs and protein. Plus, cacao powder is a great source of magnesium which is depleted with stress and exercise. 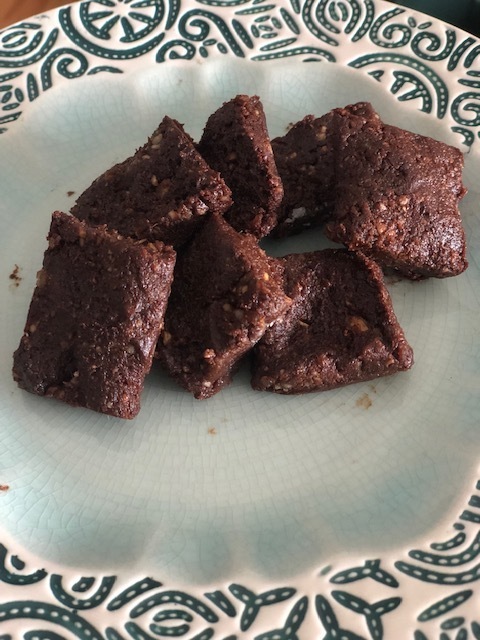 Perfect gluten-free energy bar without any weird ingredients.